This combination of accessories underlines the unmistakable sportiness of the new Hypermotard 950. With the sleek design of the approved carbon number plate holder, the LED turn indicators and the approved silencers, the appeal of this model will be truly complete. 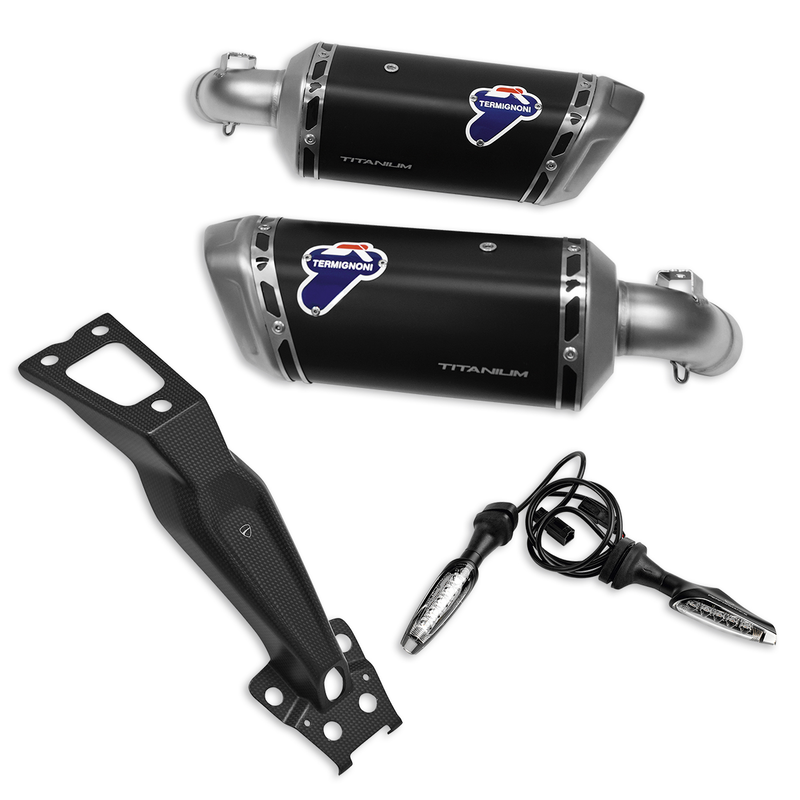 The package contains: type-approved silencers, carbon number plate holder and 1 pair of LED turn indicators.